Letman is web based software using cloud computing technology for agents involved in the Letting and Management of Residential Units. Leases (tenancies) may be renewed, reviewed, amended and converted in accordance with the Residential Tenancies Act 2004. Letman manages the client account in its entirety, showing you a balance sheet for the client account and real time information as to what money belongs to the Landlord, the Tenant, the Contractor or the Agency. Letman can also be bundled with a web portal MYletman providing secure logins and information for Landlords and Tenants. 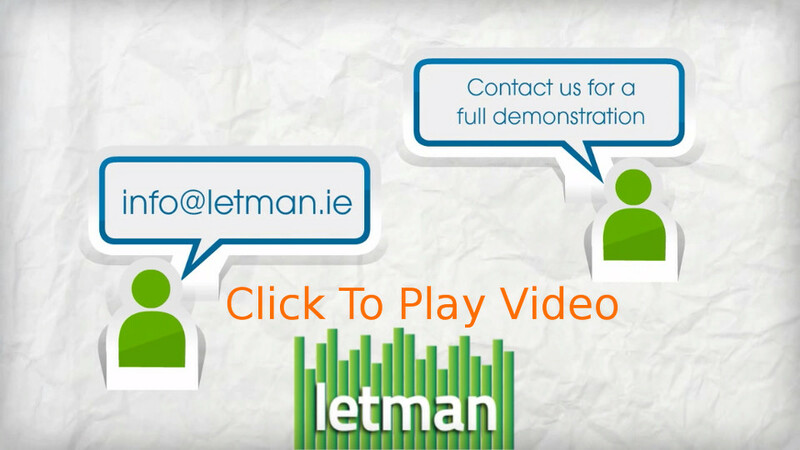 Take a look at Letman’s add on features for more information. Dedicated client rent accounting software solution. No more spreadsheets or struggling with unsuitable accounting solutions. Cloud Computing. No “IT Guy” required. No additional hardware. You just need an internet connection and you are ready to start using Letman. No up front licence fee! Pay as you go on a monthly basis! Quality of Service. You pay us month-to-month. This give us a continuous incentive to innovate and ensure quality of service. We understand client accounting and leases. We will work with you in migrating from a dated legacy system or a manual system and work out a migration plan that best suits you. Online portal for landlords & tenants to securely view their rent accounts and access financial, leases and related documentation and reports (MyLetman).